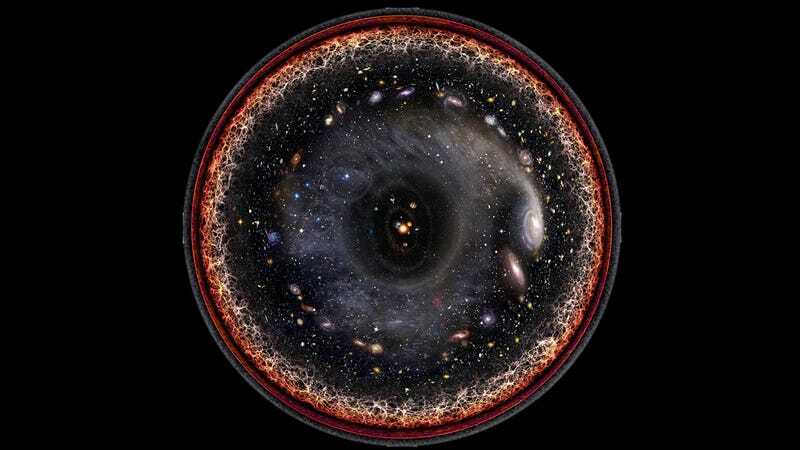 A map of the known universe to a constant scale would either be very big, or very useless. But use a logarithmic scale to compress the distances as you travel outwards, and you get this gorgeous and slightly Eye-of-Sauron image. The map was created by artist Pablo Carlos Budassi, using a series of images and data gathered by NASA and ESA missions. Starting in the middle, you move through the Solar System, past the Kuiper belt, into the Milky Way, all the way out into cosmic microwave radiation and the Big Bang’s plasma on the edge. The image has been released into the public domain, which means you’re perfectly welcome to stick it onto a black background, set as your phone background, and spend your commutes staring endlessly into the vortex of space.